Digital Marketing is changing the rules. For many companies, old school marketing methods such as word of mouth, cold calling, and the occasional trade show, is a great way to reach new prospects, wouldn’t you agree? And even though these methods still bring results for many B2B companies, it is undeniable that Digital Marketing is changing the rules. Well, it turns out, you can dramatically increase your sales with an Online Marketing campaign. B2B buyers are now researching online over 70% of the time prior to contacting any company. 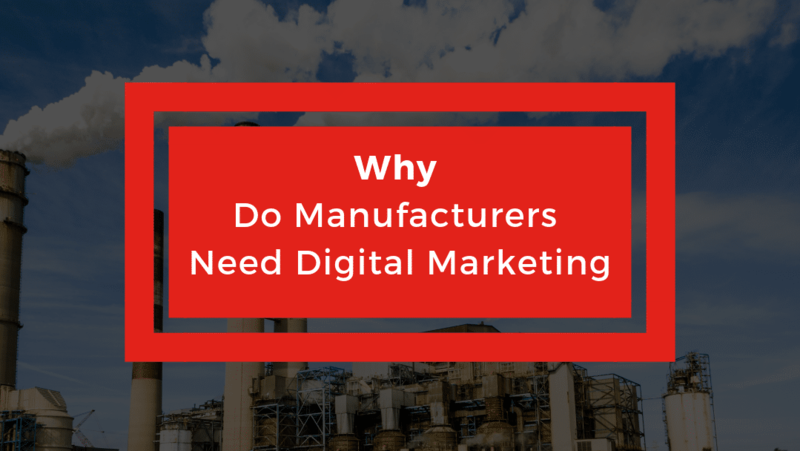 No wonder industries such as manufacturing, oil and gas, petrochemical, and many other B2B are embracing online marketing. In this blog, I’m going to show you why it’s time you embrace it too! The B2B buying process is changing drastically. There are more and more millennials holding B2B Buyer positions. In fact, 1 in 4 is now a millennial. And as such, their buying behavior is quite different. Not only B2B buyers are researching more online, only 12% want to actually meet in person with a sales representative. There are 3 main reasons to create an Online Digital Marketing Strategy. B2B buyers turn to the web to research products, reviews, and prices. 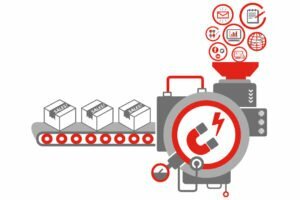 You, as a supplier, must provide more useful product information, tailored content, and seamless browsing experiences to attract customers and keep them engaged. However, that is not enough to increase your website sales. As B2B buyers prepare to make their buying decisions they are at first looking for options. In other words, googling for new suppliers. That’s why you need a Search Engine Optimization strategy in place to rank higher on google results. Plus, you need to keep your website secure. If you are an international or global company, your website must be GDPR Complaint. Keep in mind that as things progress, your prospect B2B buyers will come and go back and forth to your website multiple times. They want to be sure of their buying decision. We defined that your website must be clean and easy to navigable. The content must be relevant and give great information to your potential customers. However, not only your prospects will benefit of your amazing online presence! By showcasing your work online, your current clients will learn more about your business and everything you have to offer. In other words, cross-sell, up-sell, or just sell sell sell! Plus, showcasing your work gives your business credibility. This makes your business look stronger and reliable. 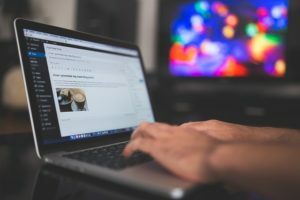 Go the extra mile in generating content such as blog posts or articles about specific topics that your audience is searching. Have an FAQ page that answer questions directly. Add Testimonials. If you are missing this basic elements, perhaps it’s time for a website redesign. Your customers are looking directly for the answers that will solve their problem. Make sure your content puts your company in the best light and it’s talking to your audience. To help you define your audience persona, download this easy to follow Audience Persona Template. The buying process takes a long time. In my experience working with many B2B clients, an Inbound Marketing campaign generates qualified leads resulting in more sales. Inbound Marketing actually works better for B2B companies. Will help you nurture your leads and establish your company as the expert and obvious choice. Remember, B2B Buyers prefer to be behind the scenes until they are ready to buy. B2B buying pattern has changed. 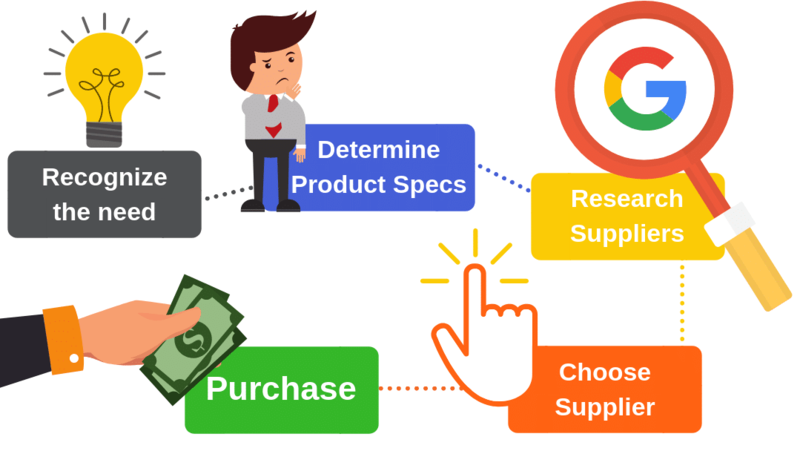 Online search plays an important role in today’s buying process. You can dramatically increase your sales with a well executed Online Marketing campaign. First start we a user-experience responsive website. Then create informative and customer-driven content. Your online presence must let potential customers browse and research easily to help them reach a decision. Have a Search Engine Optimization strategy in place. And last but not least, make sure to implement an Inbound Marketing campaign to nurture your leads and as a result, increase your sales. We truly hope that you find this blog post helpful. To help you get started, here’s a quick way to create your Online Marketing Action Plan. Comment below what digital marketing strategies are you using in your business?